The LA Group is proud to be on two winning teams for American Institute of Architects Eastern New York (AIAENY) 2018 awards presented in Troy on March 21, 2018. The project consists of the construction of a five-story mixed-use use building which includes 90 residential units, 31,000SF of commercial/retail space. 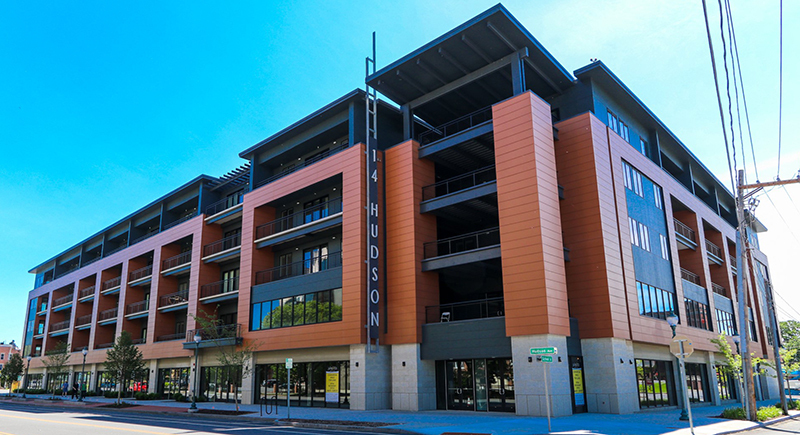 The project makes uses of a city designed and built parking garage nearby for the majority of residential parking. Coordination with adjacent land owners was critical as it removed existing parking to make way for this mixed-use development. The streetscape treatment including brick pavers, street trees, lighting, and benches was extended from the downtown district to be incorporated in this project. Scope of services included site planning; permitting and approvals, including numerous presentations to City Boards; preparation of site renderings and visualization graphics; and engineering for water and sewer connections and stormwater management for the constructions of the project. Provided landscape architecture and civil engineering services and was responsible for obtaining both City and regulatory approvals. The forested land was carefully analyzed and each site was selected based on topography, views, site access and minimal impact to the mature woodlands. 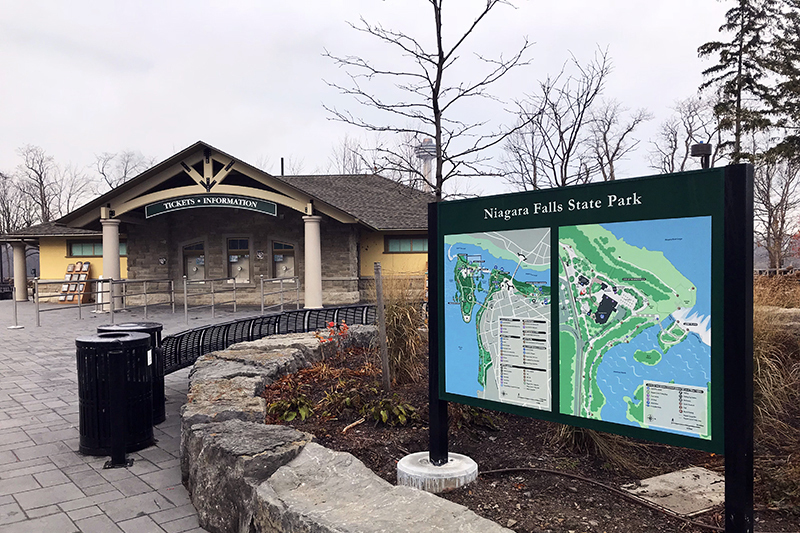 Other site features included access roads, small individual parking lots, walks, landscaping and associated utilities including water services, septic system and stormwater management. 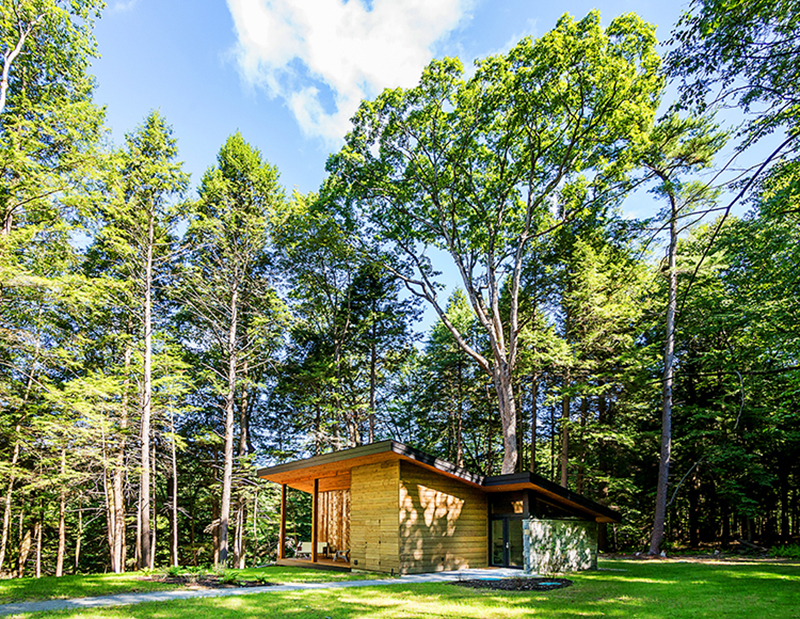 The low impact design successfully resulted in a natural wooded and tranquil environment that Yaddo and the artists’ desired.